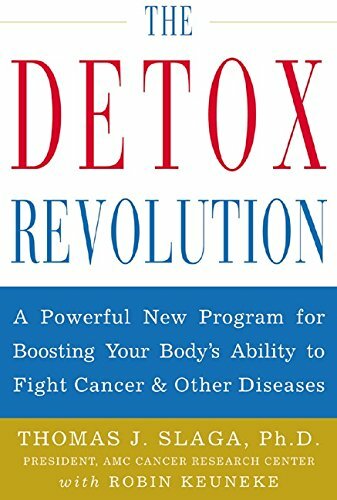 The Detox Revolution A Powerful New Program for Boosting Your Body's Ability to Fight Cancer and Other Diseases | Free eBooks Download - EBOOKEE! Thomas J. Slaga, Robin Keuneke, "The Detox Revolution : A Powerful New Program for Boosting Your Body's Ability to Fight Cancer and Other Diseases"
A breakthrough program for prolonging life and optimizing the body's ability to fight disease through smart nutrition The past decade has seen enormous growth in knowledge about the amazing detoxifying powers of an array of foods such as soy, green tea, and leafy green vegetables. Yet, there is still a great deal of confusion about which foods can really enhance the body's ability to cleanse itself of toxins. Written by one of North America's leading experts on nutrition and disease prevention, The Detox Revolution is an authoritative guide to enhancing the body's ability to cleanse itself of toxins through smart nutrition. It arms readers with a total program for preventing a wide range of diseases, slowing down the aging process, and promoting good health. No comments for "The Detox Revolution A Powerful New Program for Boosting Your Body's Ability to Fight Cancer and Other Diseases".